The smallest supermassive black hole ever detected in the center of a galaxy has been identified using observations with Chandra and the 6.5-meter Clay Telescope. 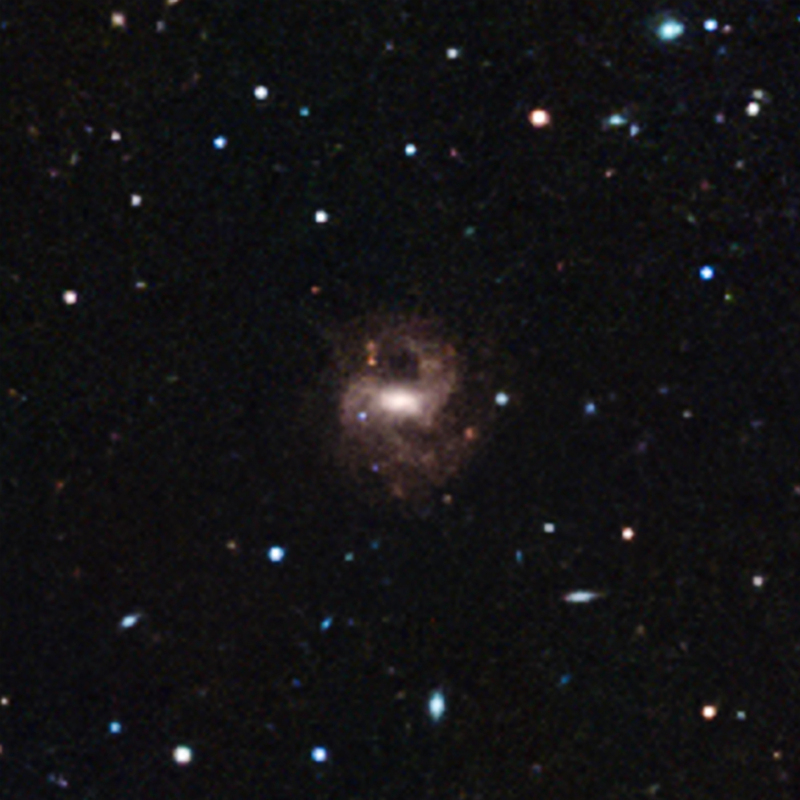 The host galaxy for the tiny heavyweight black hole is a dwarf disk galaxy called RGG 118, shown in an image from the Sloan Digital Sky Survey. The Chandra image of the galaxy's center shows hot gas near the black hole. This oxymoronic object could provide clues to how much larger black holes formed along with their host galaxies 13 billion years or more in the past.